So, you've cashed in on the coffee boom, but how do you ensure your success as a coffee shop owner? Canada is a nation of java drinkers, with coffee voted as the top beverage of choice. However, entrepreneurs must be able to compete with coffee company giants to stand a chance of being the cream of the crop. Coffee is not just a commodity, to many people it’s a passion. As the number of coffee consumers continues to grow – with 67% of Canadians enjoying at least one cup of coffee every day – new products are finding their way onto our menus. In 2016, we saw the introduction of the flat white, nitrogen infused and cold brewed coffee. 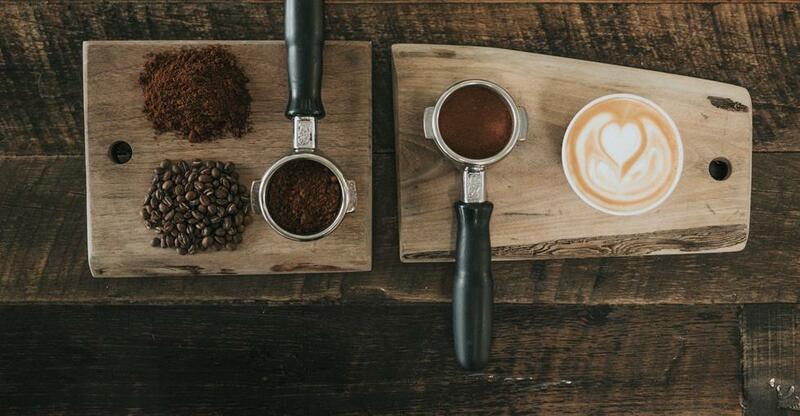 From sourcing distinctive coffee blends to hiring the most qualified barista in town, there are a number of ways you can keep improving your humble coffee shop to stay ahead of the competition. You should have a passion for finding new products and train your staff so they can share your knowledge of coffee products and brewing techniques. With micro-roasters sprouting up across the country, and new equipment and blends continually filtering into the market, it can be hard and costly to keep up-to-speed with the latest trends. Although you should have extensive knowledge of the coffee industry, be selective on which trends to feature in your coffee shop. As you strive to maintain a fresh, innovative business you should ensure that quality and service are top priorities. And don’t be afraid to get your hands dirty; in order to be a well-rounded coffee shop mogul, you need to be able to position yourself in any role, whether that be head barista, serving customers or managing staff. In 2019, there is forecast to be around 8,390 coffee shops operating across Canada. Tim Hortons is the java king of the empire, with 3,600 shops nationwide in which 60% of Canadians go for their coffee fix. There are also more than 1,080 Starbucks in Canada and a growing number of café franchises dominating the market. Despite fierce competition, the coffee sector is a $6.2 billion industry, with coffee voted as the most popular beverage – beating water – among Canadian’s aged 16-and-over. When entrepreneurs first buy a business, it is very common for them to carry out market research in the area to determine who their main competition is. A savvy business owner should keep this up and introduce themselves to other new business owners in the area. You should know what other coffee shops and cafes in the area are offering on their menus and be competitive with their prices. Having a clear understanding of who your customer base is means you can tailor your business to suit their needs, rather than trying to cater for everyone. Just because there is a high-profit margin on coffee, this does not necessarily equate to big money for your business. You still need to sell a high volume if you’re going to keep your coffeehouse afloat. Also, be aware of the costs involved when dealing with specialist coffee blends. It is not only a more expensive product to buy in, but you also need to allocate time and money spend on calibrating the product, as well as tasting and wastage. Being in a prime position does not necessarily mean more customers. You cannot rely on location alone get people through your doors, and if you’re on a busy high street than it’s likely a coffee giant will be lurking around the corner. Also, be aware that centrally-located premises will also mean large overhead costs; you will have to sell more to be able to afford the higher rent and council tax bills. However, being position near a bus or train station can help you to capitalise on a high level of footfall. Many trendy coffeehouses focus too much on the décor rather than what products to sell. Although image is important, your menu and service are what will ultimately determine whether your customers will return. In a saturated marketplace where coffee shops are dominating the high streets, you need to focus on how your coffee shop is unique. Why should consumers come through your doors? Or, more importantly, what will you do to make sure customers keep coming back? Quality is key, and high-end coffee with impeccable service trumps all. However, the décor and image are also important; you want to reflect the personality and principals of your business through your brand. So, you should make your coffeehouse a place where customers feel comfortable and relaxed. Utilise the space of your premise; set up a meeting room for other businesses in the area to book, or design your counter space to offer locally-sourced products or merchandise. You could also host events to build up more brand awareness; use social networks to endorse any promotions or to connect with other business in the area. You may want to diversify your menu by offering cakes and snacks, but make sure you’re not sacrificing the quality of your products and services by spreading yourself too thin. Also, remember that it is important to value employee wellbeing; your staff are more likely to create a positive atmosphere if they enjoy being a part of a dynamic team. Been percolating on buying a coffee shop? Here's how to do it. The booming nature of the coffee industry could mean that this is the ideal time for you to look for potential buyers. Coffee is the most popular drink among adult Canadians – even more so than tap water.